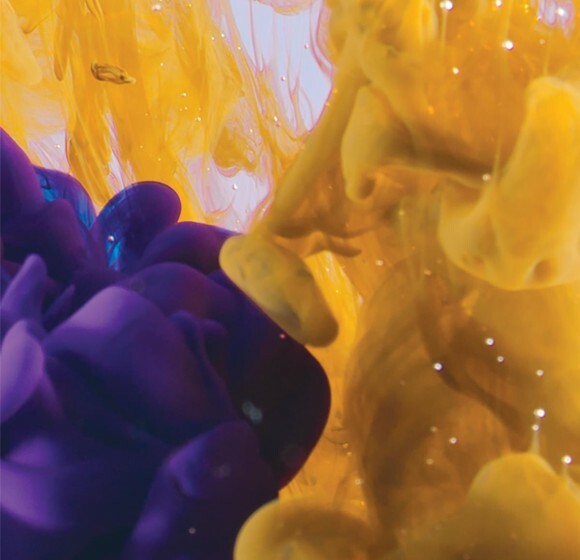 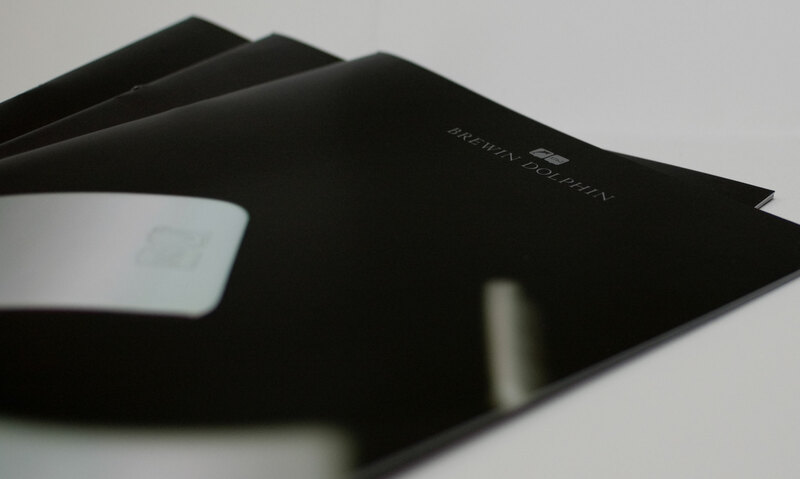 Brewin Dolphin is the UK’s largest independent Investment Company, offering ‘Individually Crafted Investment Solutions’. 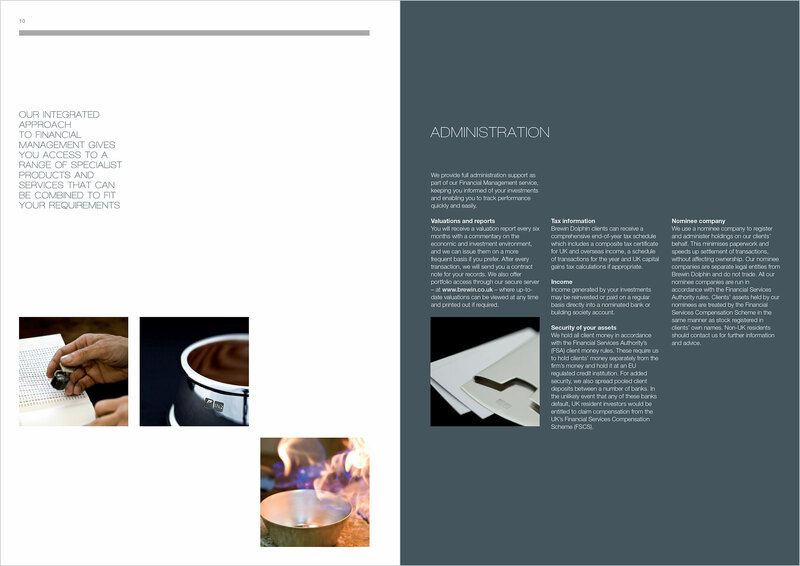 For their Main Brochure redesign, I wanted a visual metaphor to capture their philosophy. 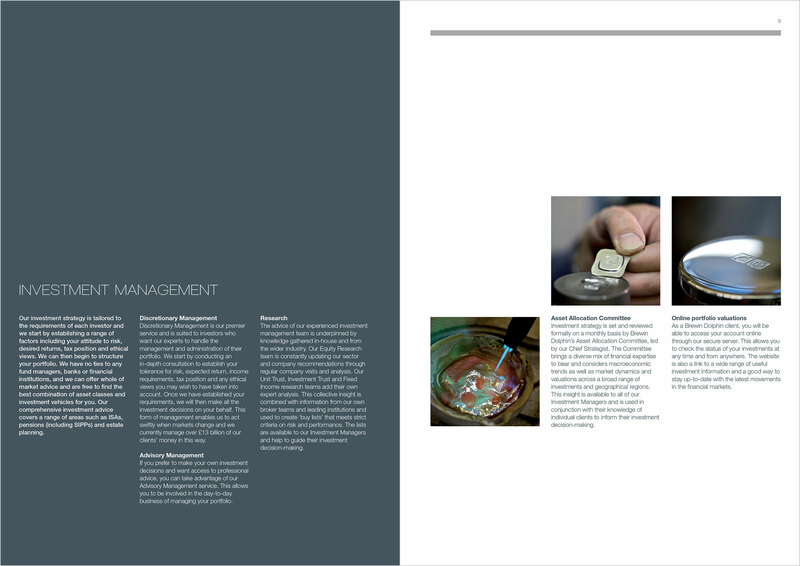 The idea of taking raw silver materials of little value and hand crafting them into beautiful items of high net worth blossomed into commissioning custom-made branded silver items, such as cufflinks, letter openers, and wine stoppers. 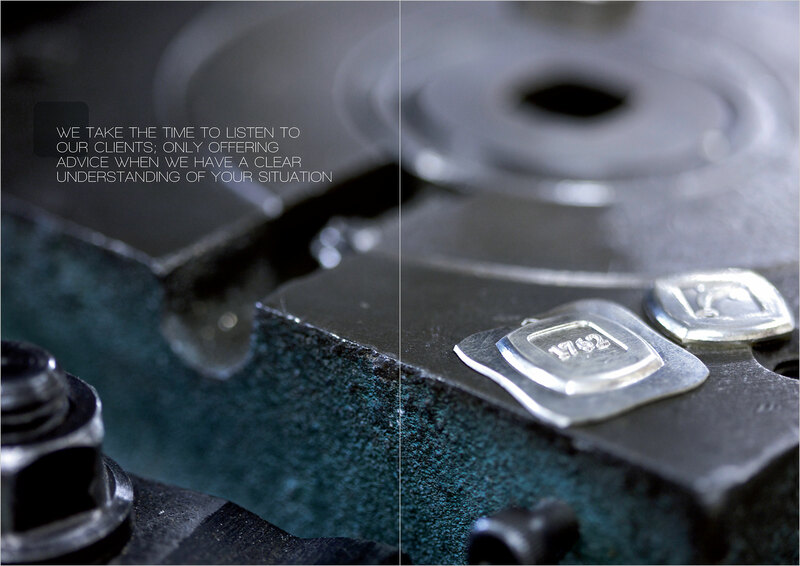 Then, through the expert lens of Dominic James, we captured the whole silver-making process, from melting down the raw materials through to polishing the finished product. 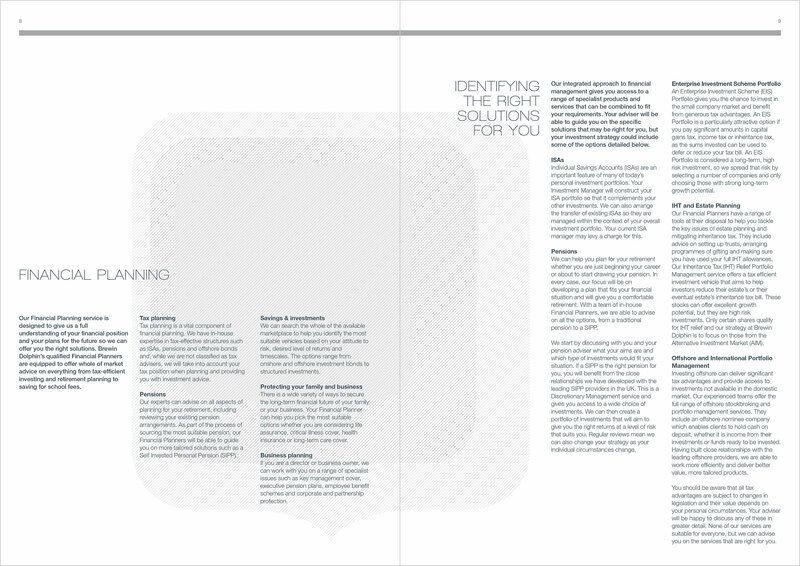 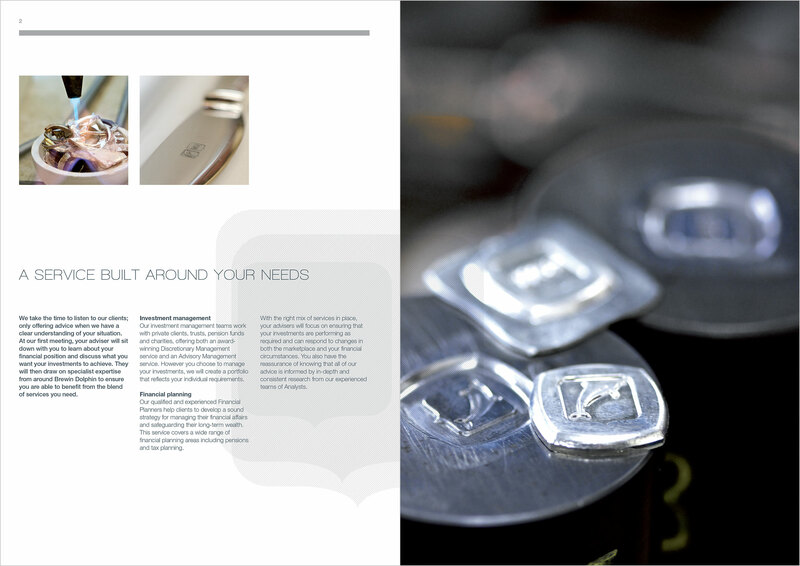 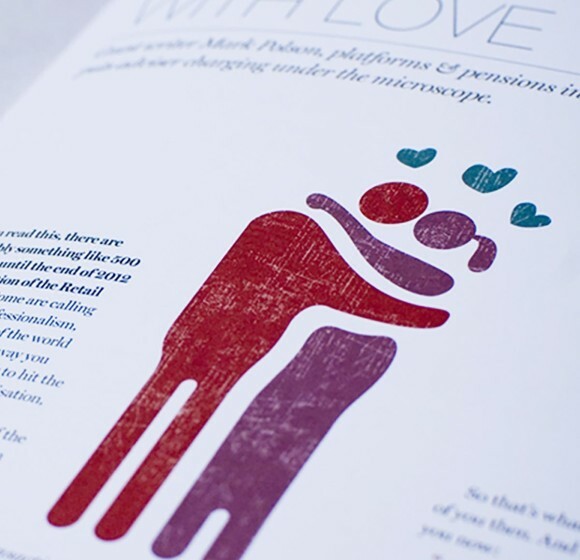 The brochure’s designed grid system breaks up the information into easy-to-read paragraphs, and by employing a liberal use of open space in the design, the images are free to tell their own story. 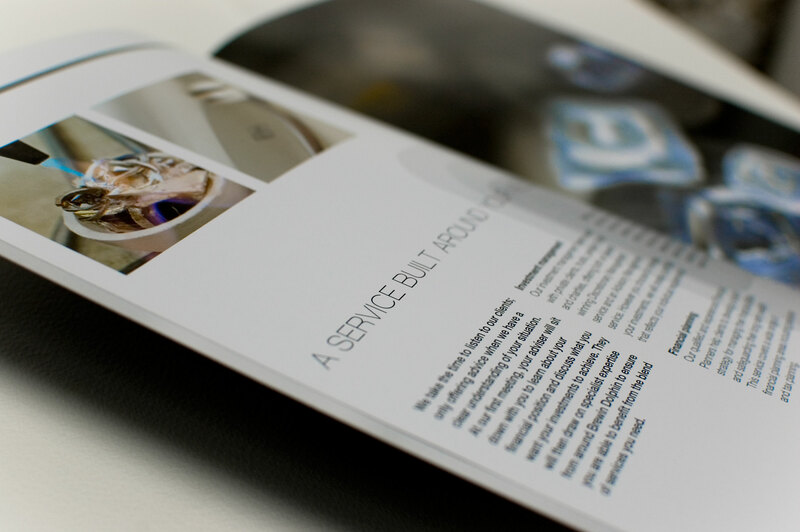 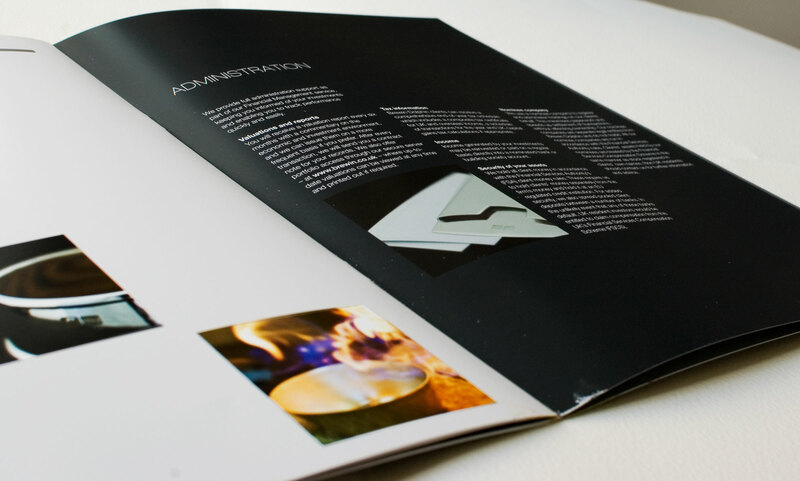 The result is a brochure that is contemporary, prestigious and memorable.